The Han® M23 Power specialises in the transmission of power and signals. It has a high current carrying capacity. In addition, it can also transmit signals. It extents the Han® M23 series, which now allows the industrial lifelines of signal and power to be fully supplied. The field of application includes drive technology as well as all areas with increased demands on vibration safety and protection against dust and water as well as other external mechanical influences. In addition, there are applications in which effective shielding against electromagnetic interference is required. The Han® M23 Power is shown at the SPS IPC Drives Fair (28 to 30 November 2017, Hall 10 / Stand 140). The contact inserts in the series, i.e. 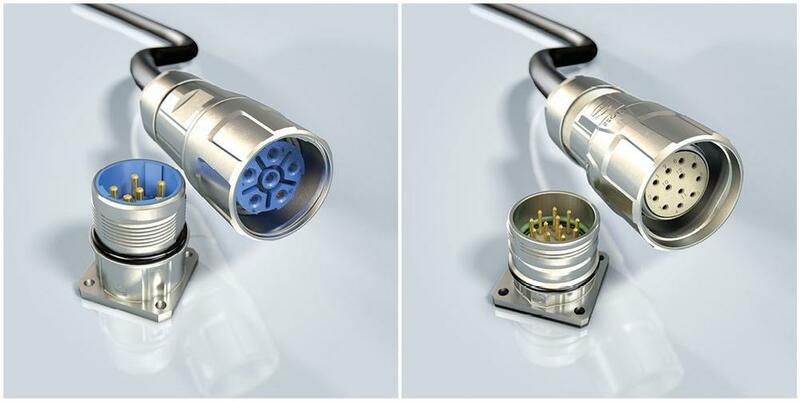 Han® M23 Signal (6 to 19-pole) and Han® M23 Power (6 to 9-pole), are plug-compatible with most other type M23 round connectors available on the market. Especially the fast and secure mating and unmating processes ensure the comfortability of the Han® Com Lock locking system.